We like beer. And farms, apparently. 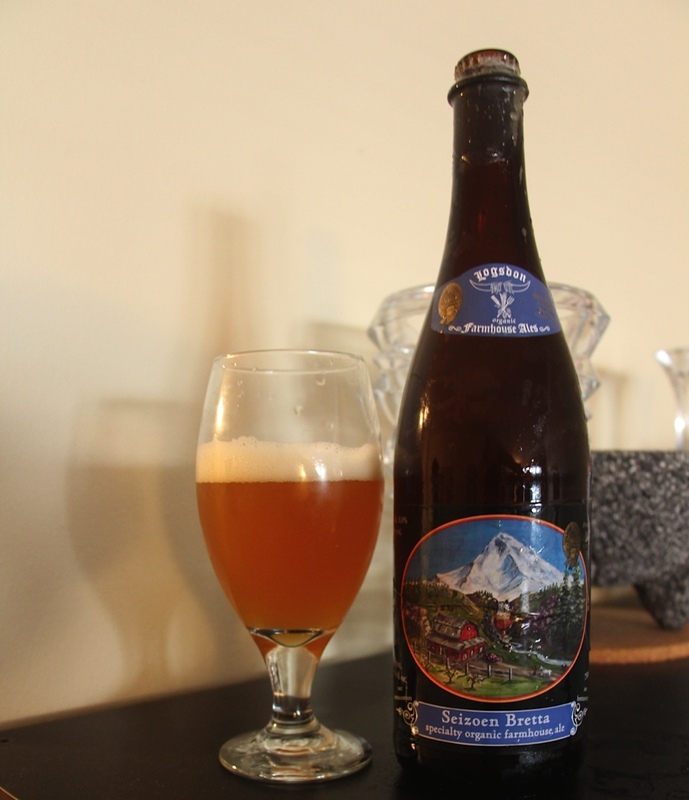 On my trip to Portland, Oregon, I was lucky to visit Logsdon Farmhouse Ales in Hood River, about an hour and fifteen minute drive east of Portland. It’s reminiscent of the more famous Hill Farmstead Brewery in Vermont. Both are small (really small), literally located in farm houses on incredibly scenic brewer-owned tracts of land, and brewers of world class beer. 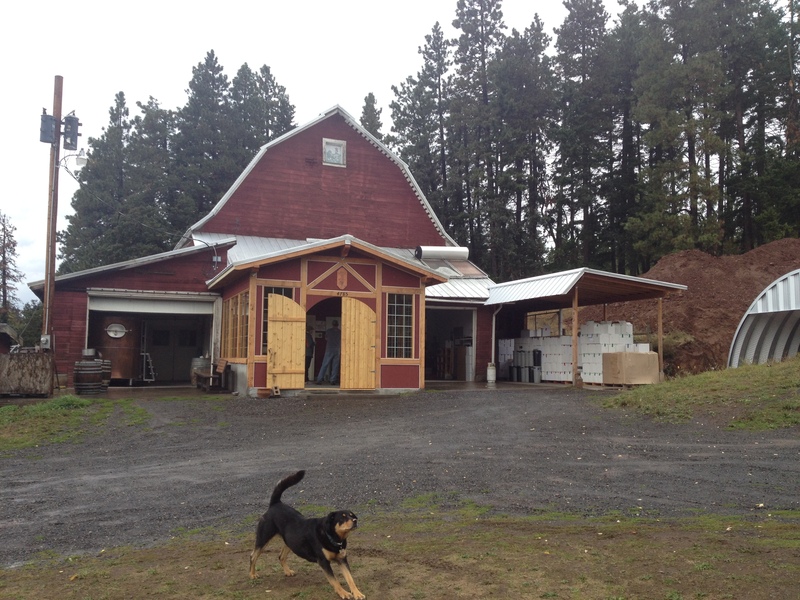 Dave Logsdon founded the brewery in 2011 on his farm, where the beer is brewed with organic ingredients, including hops and fruit grown on the farm (maybe with help from the friendly farm dog, horses, cats, and shaggy Scottish Highlander cows that roam the property). You can buy bottles and sample the beers on site. Unfortunately, the beer isn’t available in NY or anywhere on the east coast except Vermont (we found it at Prohibition Pig), so I bought bottles at the brewery and brought them home. They had been aging in my beer closet since October, and we finally broke out Seizoen Bretta and Far West Vlaming. Seizoen Bretta – Their regular seizoen is brewed with four yeasts, whole cone fuggle and golding hops, barley malt, wheat and oats. Seizoen Bretta adds Brettanomyces yeast and is bottle conditioned with pear juice. It has a tart aroma of apples and citrus, and a sweet funkiness.You can really taste the Brett, and each sip leaves a dry but refreshing aftertaste. Unlike a lot of saisons, it’s subtle and easy to drink. 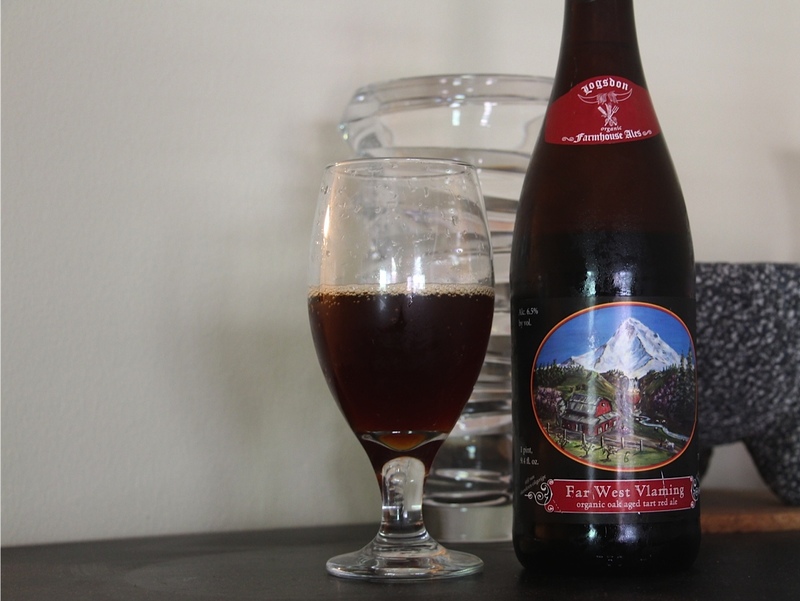 Far West Vlaming – A Flanders Red Ale, it’s made with pale, crystal, and dark roasted barley malt, wheat, and oats. Then whole cone hops, yeast and lactic bacteria are added. This is all aged in oak barrels then blended with younger beer for balance. Less sour than the Seizoen Bretta, this could be a good introduction for those hesitant to go sour. I taste cherry, vanilla, and tannin from the oak. The sour and malt tastes are balanced, and like the Seizoen Bretta, you’d have no idea there’s any alcohol in this based on the smoothness. We really recommend trying to get your hands on some, either by becoming our friend (or BFF), trading for some, going to Portland, or buying via an online store. Facebook: @Logsdon Farmhouse Ales, LLC. July 2, 2014 in Beer, Breweries, Travel.